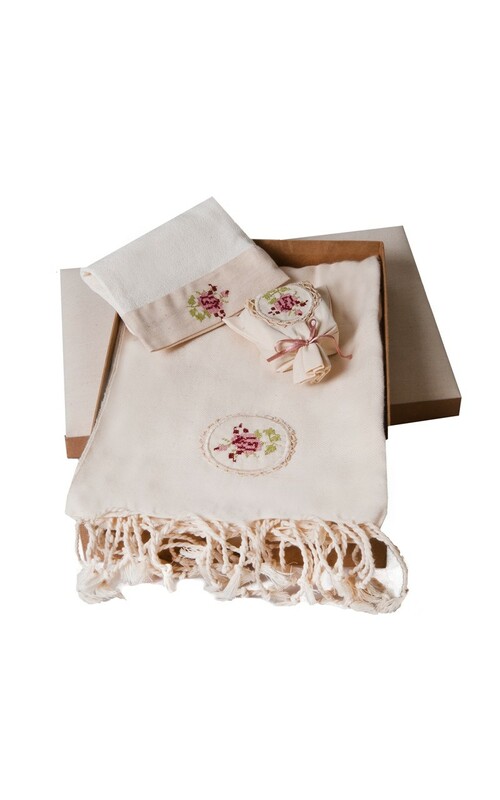 Experience the joy of beach and traditional bath with the rose ornamented Turkish hamam towel / pestemal set in its special box. 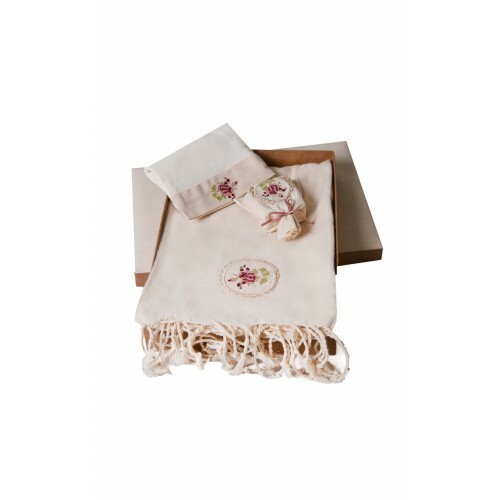 This eco-friendly, lightweight and quick-drying towel is hand loomed in Denizli Turkey, the worlds finest textile region. It is perfect as a beach towel, bath towel, sarong, scarf or a tablecloth. The olive oil soap in the cotton glove was produced by the women in Mardin by traditional methods. Nahıl Dükkan which is the commercial enterprise of the Foundation for the Support of Women's Work (FSWW) was founded in 2003 for the aim of providing a sustainable income source for the producer women with low income level by marketing their products. With the income obtained from Nahır's sales, pre-school education services are given in 23 women and children centres founded with the support of FSWW, studies are made in regions with comparatively low income level towards opening new nursery schools and entrepreneur women are supported in terms of marketing and product development. With the support it provides to women producers and the "Women and Children Centres", Nahıl helps the women to sustain their existence and to take place in the economy as productive individuals with self-confidence. Up until today, Nahıl Dükkan provided support to 23 Women and Children Centres in 12 cities and 10,000 children benefited from 3-6 year old children education. 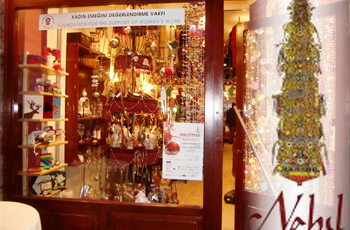 It provided employment and support regarding product development to over 3,000 women and many woman producers found the opportunity to do marketing by virtue of Nahıl.